Daniel Hutzenbiler | Lawyers fighting for labor organizations and workers. Dan began working with the firm in 2016, after working for nine years at Seattle-based Robblee Detwiler & Black and previously serving as general counsel for the Washington and Northern Idaho District Council of Laborers. He has experience handling matters before the National Labor Relations Board, the Washington Public Employment Relations Commission, the Federal Labor Relations Authority, as well as in both state and federal courts. He also represents unions in grievance arbitrations and advises unions on picketing, internal union matters, and how to conduct themselves as employers. 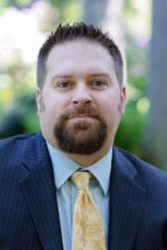 Dan has represented many building and construction trades clients throughout the northwest. As an undergraduate at the University of Oregon, Dan double-majored in history and political science, minored in business administration, and worked at the weight room. He remains an avid fan of the Oregon Ducks. Dan graduated from the Willamette University College of Law in 2005, where he served as Executive Editor of the Willamette Law Review and Managing Business Editor of the Willamette Journal of International Law and Dispute Resolution. His father is a retired pipe-fitter out of UA Local 290 in Portland, Oregon.